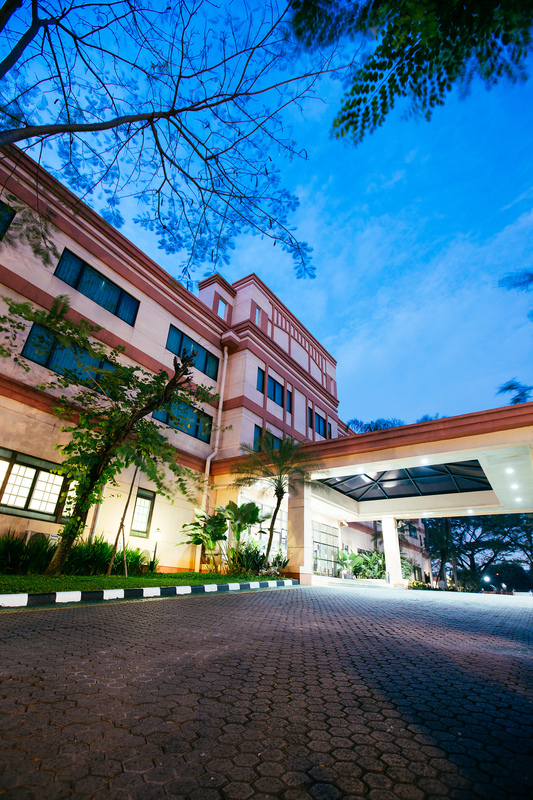 Asuka Hotel is conveniently located at MM2100 Industrial Town in Cibitung (about 30km away from Jakarta SCBD), and can easily accessible from the Jakarta-Cikampek toll-road. It was prestigiously build to facilitate and accommodate business travelers and visitors of MM2100 industrial town and other surrounding industrial district. With being located directly inside MM2100 industrial town, getting around is effortless and very efficient because we also provides FREE Drop service to all company surrounding MM2100 Area. We will welcome you with genuine warm-heartedness to our 102 homey and spacious rooms which are available for short and long stay. Guests will enjoy our apartment-style accommodations embed with the essence of Indonesian hospitality in every element of our services making it our absolute passion to ensure our guests feel at home. Each of our room offers you a good night sleep with high quality beds, a flat-screen TV with international and Japanese channels, fully air conditioned and bath up in all of our bathrooms. Some rooms even have a living room and dining table for your ultimate comfort and convenience. Asuka Hotel also provides outdoor swimming pool, gymnasium, massage therapy, spa and sauna to indulgence your wellness needs. On lobby level we have indoor and outdoor restaurant with interiors that are designed to create a relaxing ambience. Asuka Restaurant specializing in Japanese dishes open for breakfast, lunch and dinner. It also features private VIP rooms for more intimate dining experience.